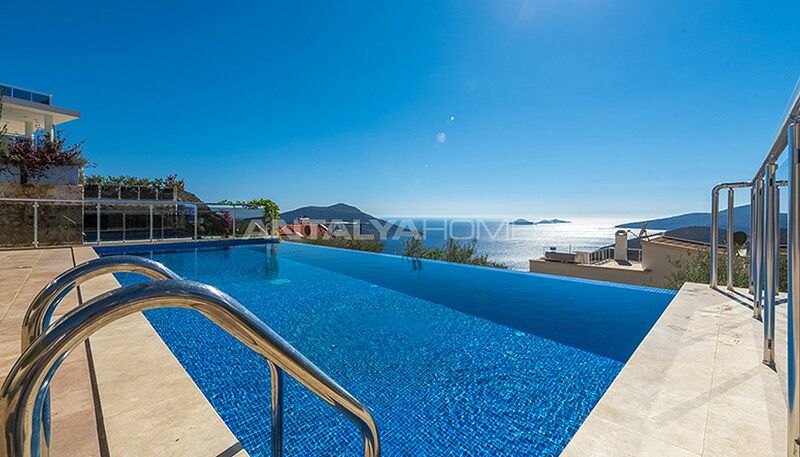 Houses are located one of the holiday districts in Kalkan. 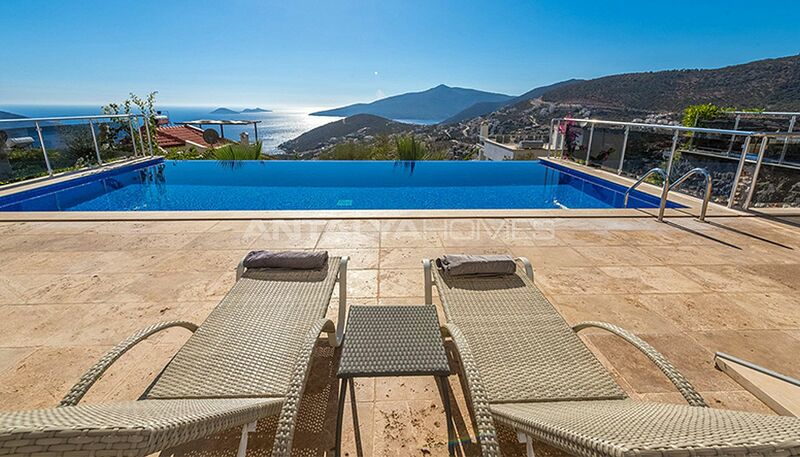 Kalkan is a wonderful holiday town with its natural, clean air, sparkling sea, and spectacular beauties. 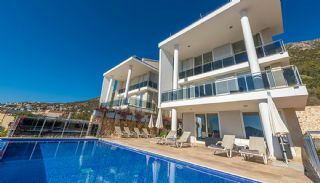 This region is famous for its contemporary and luxurious villas. 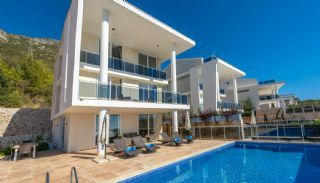 It is home to many domestic and foreign tourists. 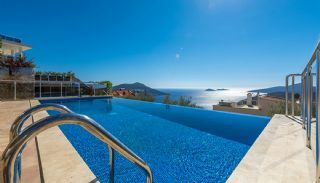 Thanks to its temperate climate, four seasons can be made the holiday in Kalkan. 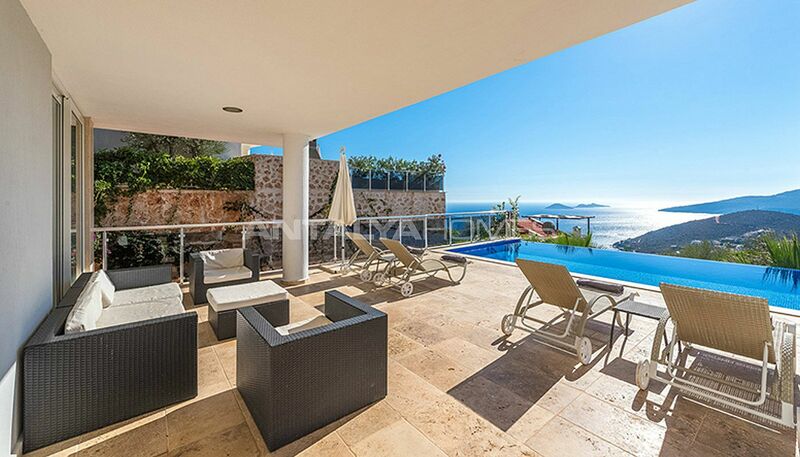 It is the most leading place in the villa rental sector in recent years. 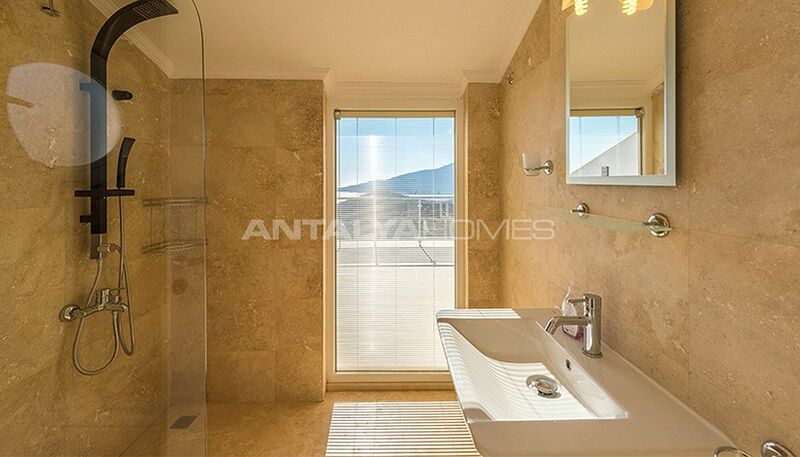 The luxurious houses in a quiet and quality environment are close to all social amenities. 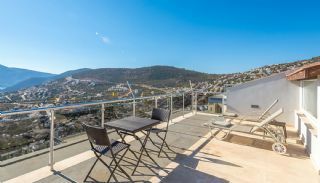 Houses are a short walking distance to amenities such as school, hospital, market, city center, bakery, beach, cafe, and restaurant. 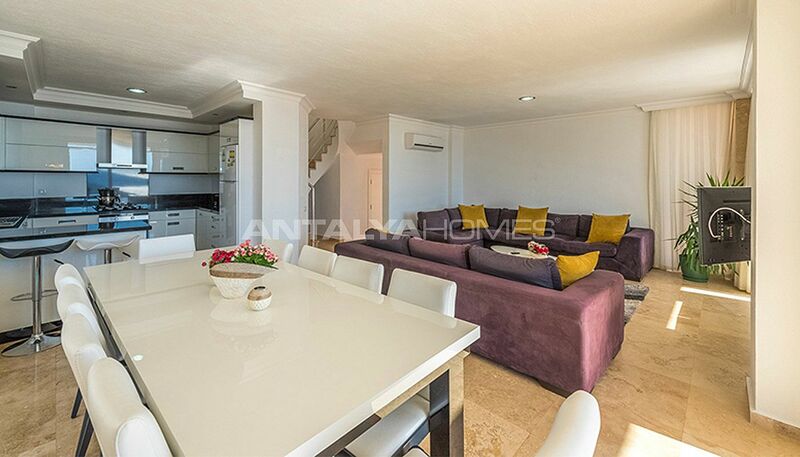 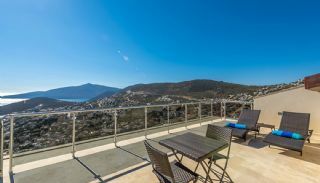 Kalkan center is 600 meter, Kalkan Beach Club is 1300 meter, Kalamar Beach Club is 500 meter, Dalaman Airport is 130 km, and Antalya Airport is 220 km away from these houses. 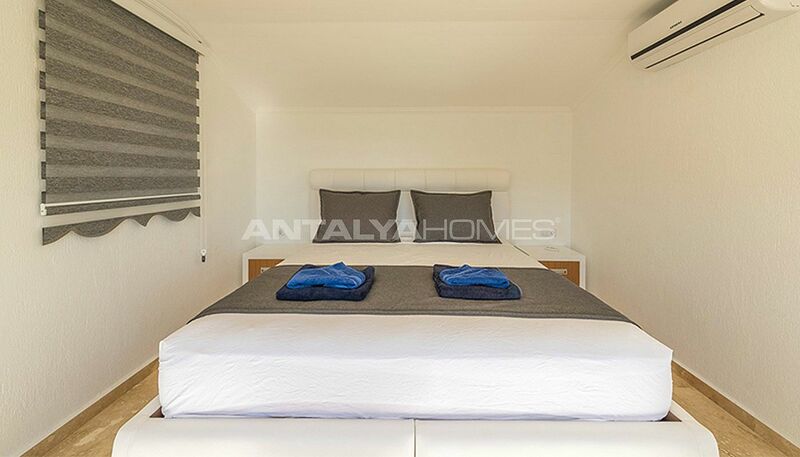 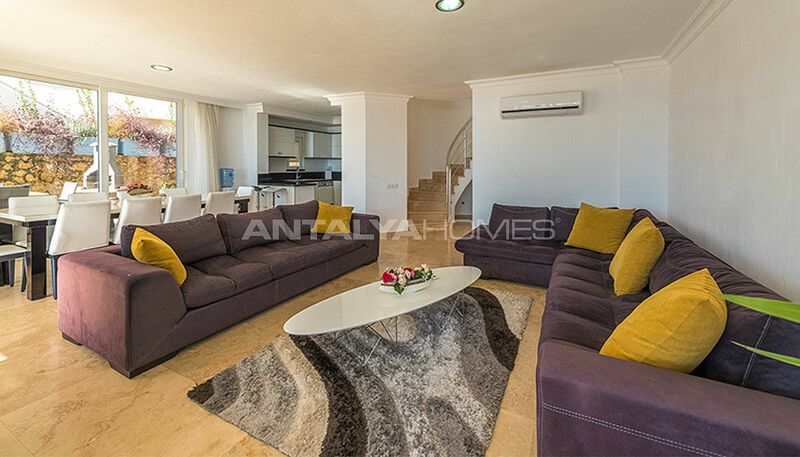 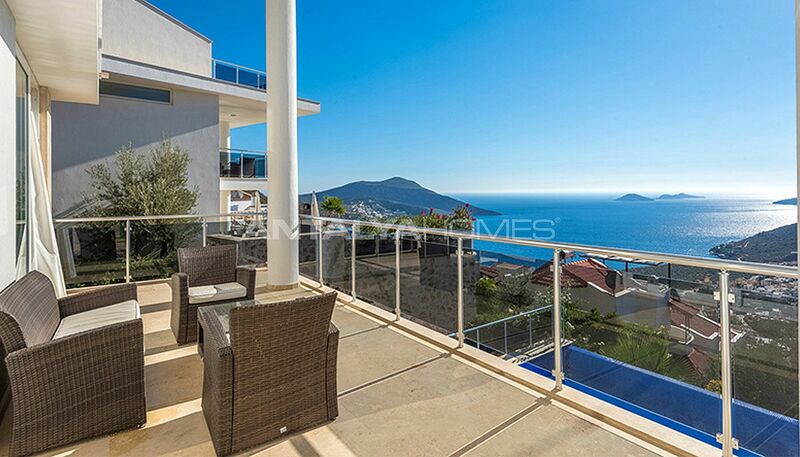 Houses for sale in Kalkan Turkey have a private garden within the residential complex. 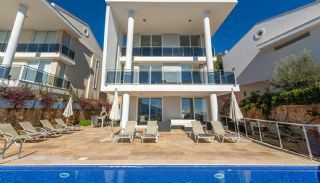 5 bedroom house has 510 m² land area. 7 bedroom house has 600 m² land area. 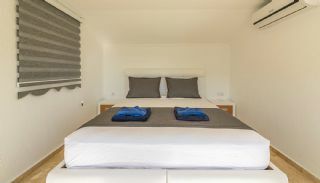 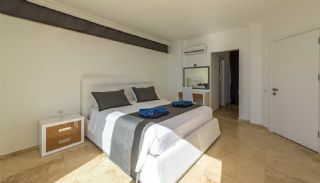 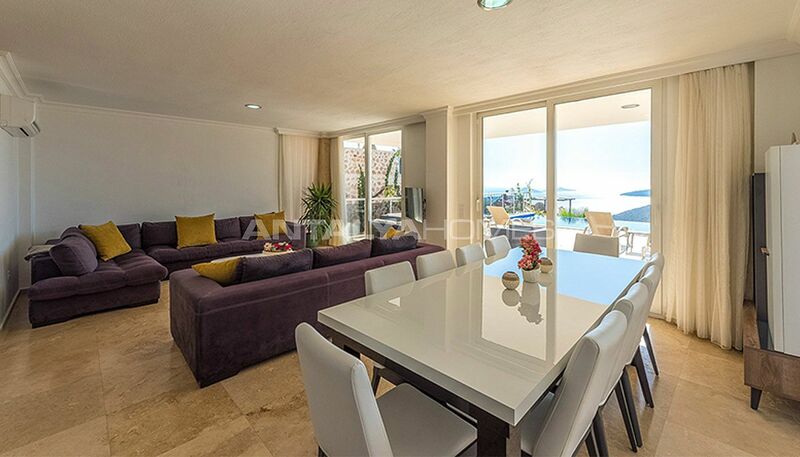 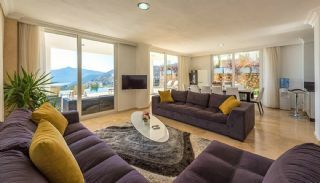 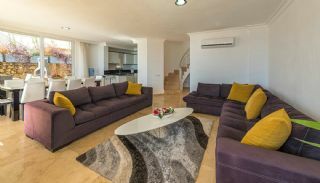 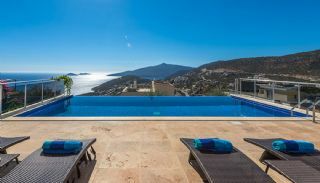 These houses have an infinity pool, outside dining table and seating, luxury sun loungers, side tables, parasols, outside shower, gas BBQ, garage for 2 cars, landscape gardens to 3 sides and spacious pool terrace across Kalkan Bay view. 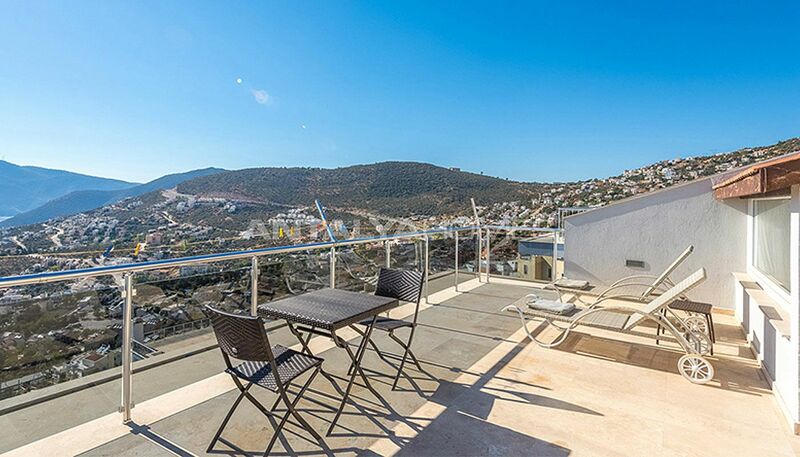 There is open parkland at the rear of the house with stunning views across the mountains. 5 bedroom detached house is 360 m² with a living room, an open-plan kitchen, a WC, 5 en-suite bathrooms, a games room (pool table, table tennis, table football, cinema), a French balcony, a balcony and a terrace. 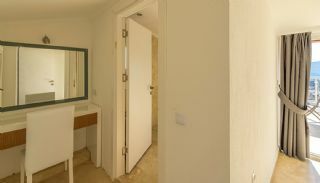 *The house currently achieves a rental income of approximately 30.000 GBP during the season. 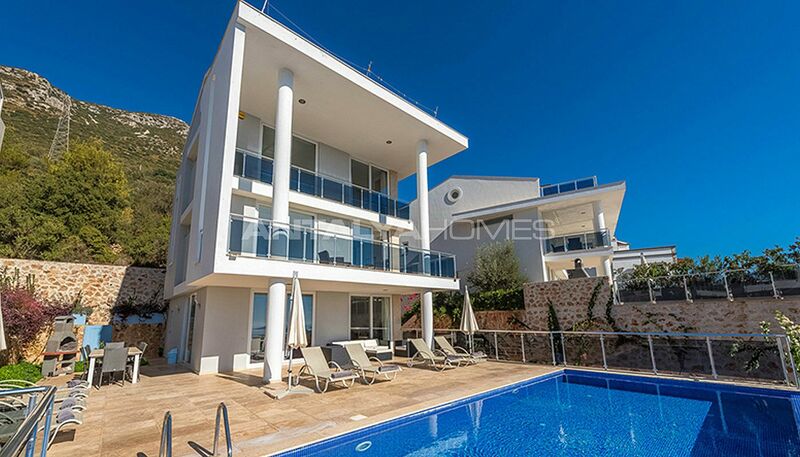 7 bedroom detached house is 450 m². 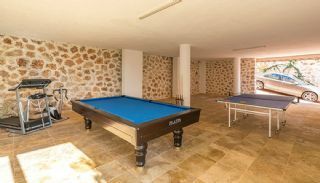 At the lower ground floor; there is a games room (pool table, table tennis, table football, cinema). 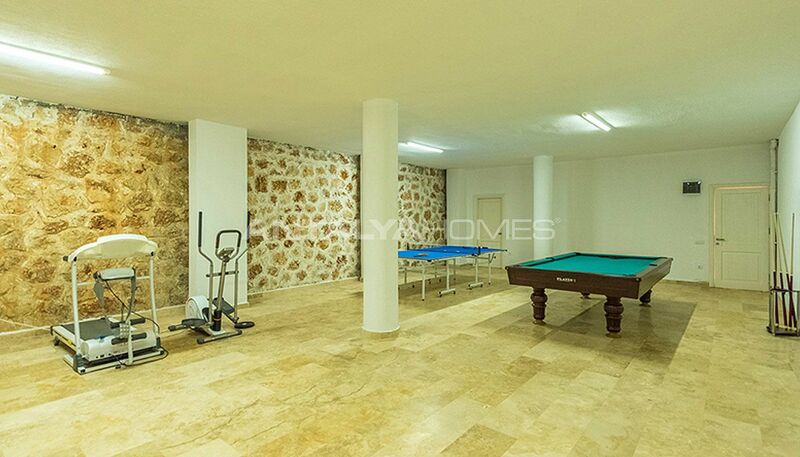 At the ground floor; there is a living room, an open-plan kitchen, a WC, and pool terrace. 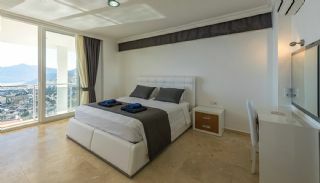 At the first floor; there are 3 bedrooms with en-suite bathrooms and 2 balconies. At the second floor; 2 bedrooms with en-suite bathrooms and 3 balconies. 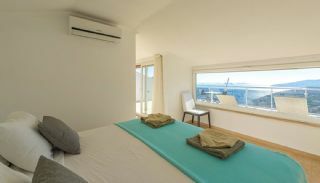 At the roof floor; there are two bedrooms with en-suite bathroom, a laundry room, and 2 terraces. *The house currently achieves a rental income of approximately 50.000 GBP during the season. 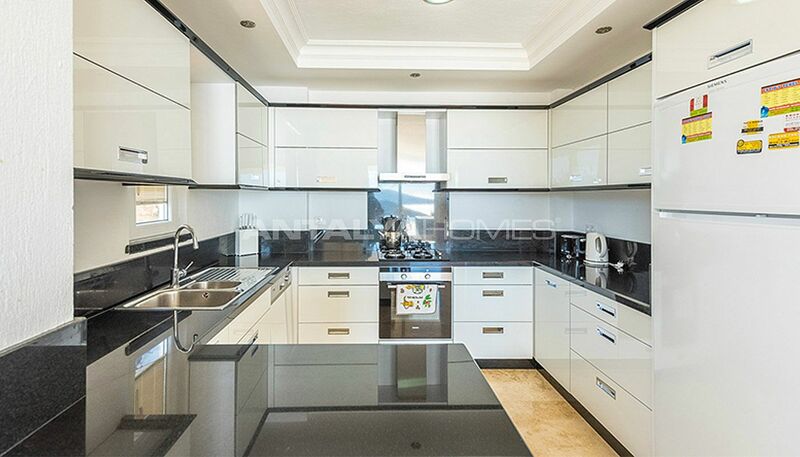 7 bedroom detached house is 460 m². At the lower ground floor; there is a games room (pool table, table tennis, table football, cinema). At the ground floor; there is a living room, an open-plan kitchen, a WC, and pool terrace. 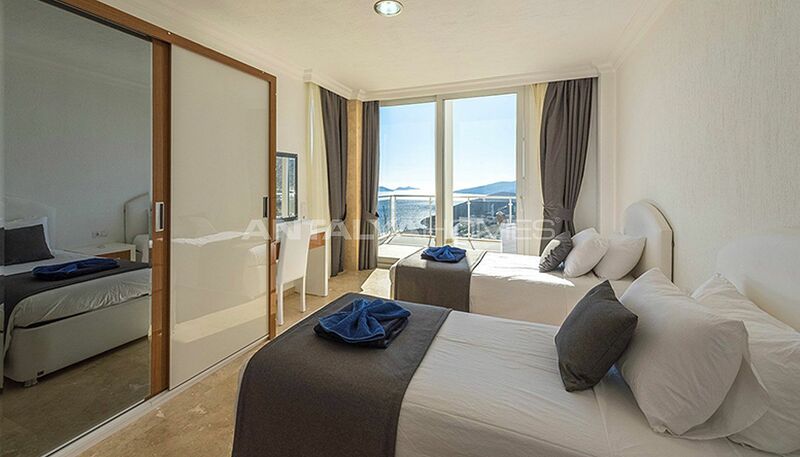 At the first floor; there are 3 bedrooms with en-suite bathrooms and 2 balconies. 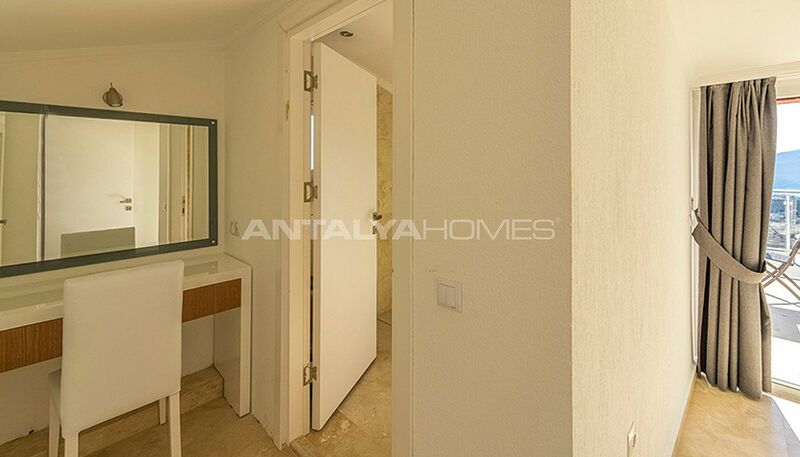 At the second floor; 2 bedrooms with en-suite bathrooms and 3 balconies. At the roof floor; there are 2 bedrooms with en-suite bathroom, a laundry room, and 2 terraces. 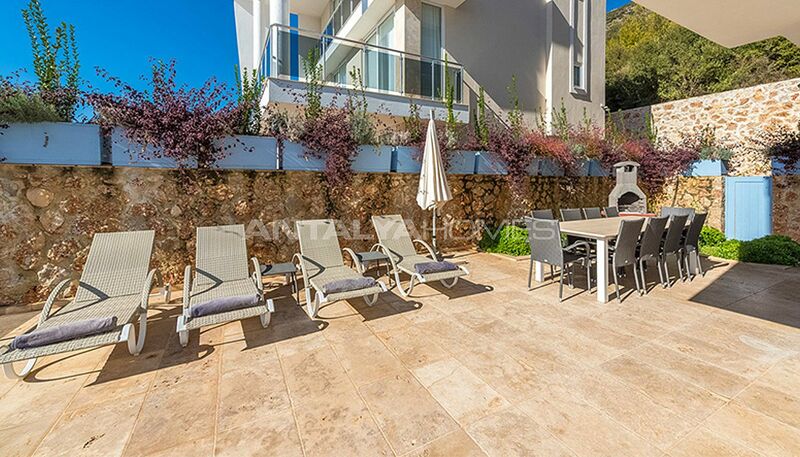 *The house currently achieves a rental income of approximately 40.000 GBP during the season. 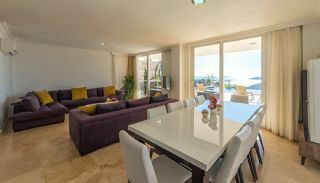 All houses are the perfect blend of style, exclusivity, and convenience with their architecture. Fully furnished houses have steel door, modern kitchen and appliances, solar panel for hot water, air-conditioning, internet connection, satellite TV system, aluminum & glass balcony barriers, shower cabin, LED lighting, fireplace and cloakroom. 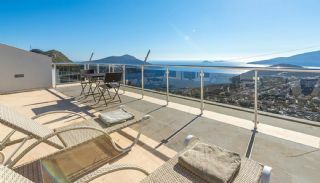 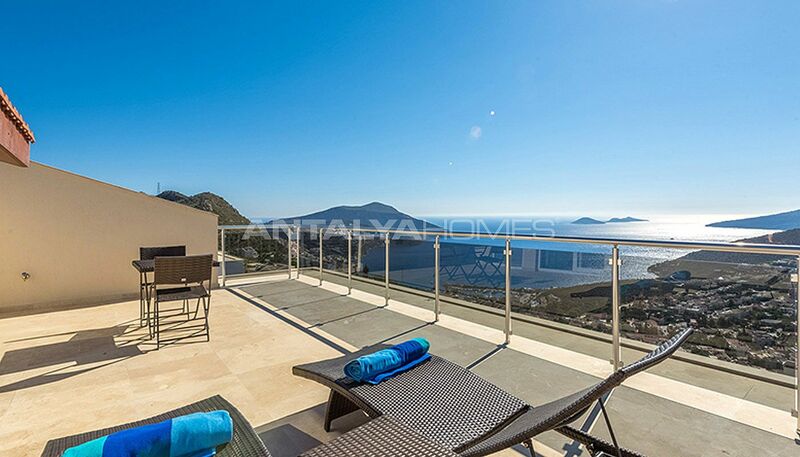 The roof terrace of houses has views of the surrounding mountains, Kalkan town, harbour, and sea. 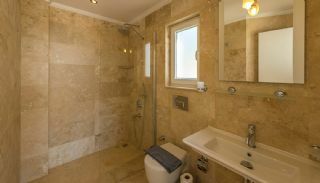 Note: During the sale, real estate agent commission is charged by the buyer.